There is just no other way to put it, the Galaxy S8 is an absolute disappointment when it comes to battery life. While everyone was expecting the S8 and S8+ to have bigger and better batteries, as it turns out, Samsung has put in similar sized batteries from last year's S7 and S7 Edge into the S7 and S8+. While the S7 Edge's 3,500mAh battery did not disappoint us, the S7's 3,000mAh battery did. Considering the fact that the S8 has to power the much bigger display and a few additional pixels with the same battery capacity, it was a recipe for disappointment to begin with. If you were hoping that the new 10nm chips (SD 835 and Exynos 8895) will make the S8 last longer, you are about to be seriously disappointed. 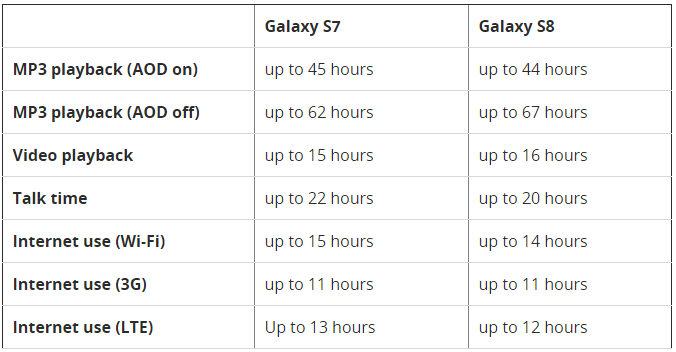 According to the stats published by SamMobile, the Galaxy S8 will have an even worse battery life than that of the Galaxy S7. Check out the comparison yourself to see what we are talking about here. 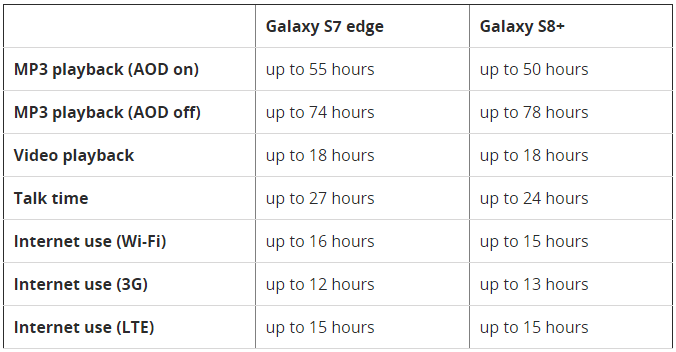 If these stats disappointed you and are making you reconsider your decision to buy the regular S8, we wouldn't blame you. The only good news is that if you are willing to buy the much bigger Galaxy S8+, you will probably not be disappointed as it managed to provide battery performance similar to what we saw last year from the Galaxy S7 Edge.